When one does my job(s), and one writes the kind of stuff that I write, the question of what my favorite element might be comes up a lot – quite a lot in fact. Actually I don’t think that the question is one that I would have ever give any thought to were it not for the sheer frequency of it. When young readers of my books ask me, they often seem genuinely interested in my answer, and are sometimes surprised – and maybe even a little disappointed – at my relative indifference. Anyway, in a couple of months time my latest writing project will be published, another book about the elements. More on that a little later, but the fact that I’ve been working on that since last July, and the fact that I happened to come across Neil Withers’ Chemistry World article on his favorite element this morning, made me turn my attention to addressing the question in a formal way. As disappointing as it may be I have to come clean at the beginning and say that my answer might not be all that satisfying. One of the problems with such a question is that it is likely to have multiple answers. It will depend on the context, the circumstances, and what I might have been reading about most recently. It might even be influenced by a recent encounter with one of the 118, or perhaps be one that was recently in the news. Either way, I’m setting you up for disappointment – perhaps! For me, it’s easier to rule out a few elements to begin the process. Although I count myself a ‘fan’ of organic chemistry, in particular (oddly some would say) the sub-topics of nomenclature and structure, I just don’t have much love for carbon. Sure it’s arguably THE most important element, but I find it – as an entity at least – rather drab. Maybe it’s the association with the color black that influences me, and maybe that’s a clue to some more worthy candidates that I’ll get to later. If I’m honest I feel much the same way about a lot of the p-block elements. I think I’m a metal guy, and with the non-metals congregated up in the top right of the table, I find very few intriguing candidates. 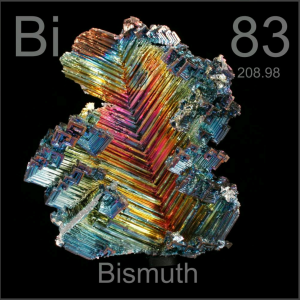 Boron and nitrogen suffer from the same problem as carbon, and elements such as sulfur, phosphorous, tellurium, germanium, silicon and selenium, whilst certainly offering some more beguiling chemistry, still seem a little dull to me. Many of them literally lack the luster of my preferred metals. Of course, speaking of flashy candidates there is bismuth in the p-block with its extraordinary ability to play with light and to present an amazing array of colors. However, that dazzling spectacle is just a little too disorganized for me; a little too gaudy; a little too flashy, and lacking in the regimented order that really is the (slightly boring) origin of my interest in the periodic table. Staying in the p-block, the noble gases provide just too much uniformity for my liking. It’s less about their relative inertness, and more about the difficulty in finding distinguishing characteristics among them. Gallium is too easy a choice, and IMO its low melting point has become a little cliched, so I’ll pass on it. Tin, and in particular lead, seem a little drab too, and given the latter’s reputation, they don’t feel like winners to me. What about the newest of the elements i.e., nihonium (Nh), moscovium (Mc), tennessine (Ts), and oganesson (Og)? They seem like they might be interesting, and they certainly are incredibly topical, but as with so many of the super-heavy elements there’s just too little known about them to provoke much interest. Plenty of intrigue with each of them, sure, but it’s hard to be overtly enthusiastic about a bunch of elements that remain for now, theoretical obscurities that one cannot get one’s teeth into. Before we leave the p-block, a couple more things. Firstly a quick shout out to the halogens which may just be my favorite group on the table. Perhaps that should be another blog post altogether, but the diversity, color and reactivity shown by those elements, plus the nutty astatine and the potential for even more wackiness with the aforementioned Ts, there’s a ton of interest there. However, group 17 still doesn’t contain my favorite element. Secondly, a nod to thallium. 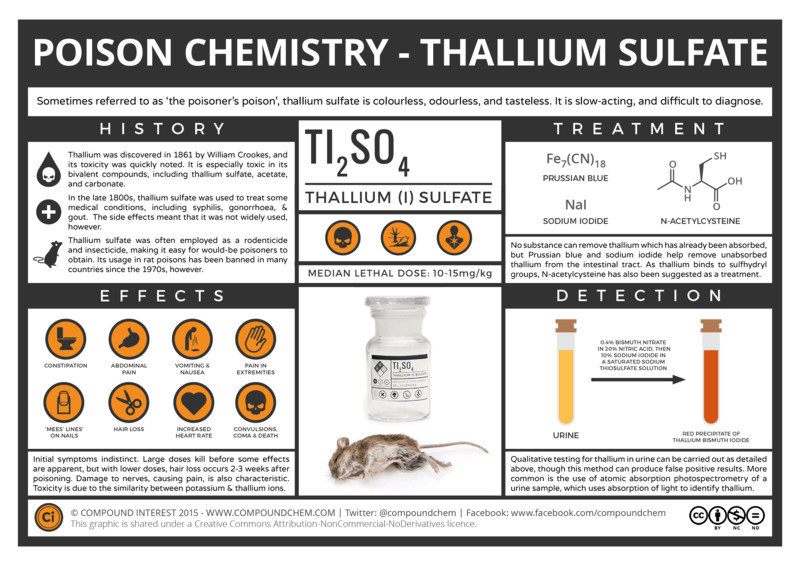 The dark side of the periodic table is always an attractive proposition, and more obviously dangerous candidates like arsenic, lead and polonium are really outdone (at least for me) by the murderous thallium. It really scares me, and I kinda like that! OK, let’s fly across the table to the s-block, and visit groups 1 and 2. The group 1 elements being dropped into water might seem intriguing the first one million times that one is exposed to it, but I’m over them and that particular reaction. The whole uber-reactivity of those metals is just too obvious for me. There is a possible exception in cesium. I like the way it causes trouble via its spelling, and the somewhat surprising gold color, and Simon Basher’s depiction of it on the cover of my Elements With Style! book still fills me with joy all these years later. I always feel that group 2 suffers from just being, “similar to group 1 but less interesting”. Of course that’s more than a little unfair, but at the same time it has a degree of truth. Some will quote Mg’s famous, white light when burned, but these days, that particular combustion reaction provokes a similar indifference in me that the alkali-metals reactions with water do. However, like group 1’s cesium, I do feel a slight pang for strontium and barium, that I think comes from the bright red and green flame tests. Odd, because you’d think that I’d be ‘over that’ silliness, too. What about the f-block? Well, a ton of potential there I suppose, but the whole collection suffers from a similar problem to the noble gases where fine distinction is not always easy. Sorting out the lanthanoids is a treacherous endeavor at the best of times, and the same goes for making meaningful cases for any of them. I think I’m somewhat influenced negatively across the whole assemblage by a couple of my least favorite elements; erbium and terbium. They are just very difficult to find tremendously interesting angles on, and when writing about them it always seems like a huge effort. In the same light there’s thulium, which John Emsley has described as, “the least interesting element there is”. There certainly is some intrigue around many of the elements found at the foot of the table, but I sometimes feel as though I am just being duped by the exotic nature of the names. It is difficult to resist the charms of names like praseodymium, neodymium and mendelevium, but ultimately they feel just a little too obscure to provoke real excitement in anyone that doesn’t don’t deal with them in a more intimate way. I’m sure (in fact I know), that if one does deal with any of those elements on a regular basis, they all have their own delights to share, but they are just not for me. If you are a real chemist, i.e., one that works at a bench and with the elements and their compounds, then my suspicion is that you develop a love-hate relationship with the particular element that you handle on a daily basis. You are likely to find all of its charms and its aggravations as you poke and prod it and its compounds. Without that experience, it’s a lot easier to think about the 118 building blocks in a more expansive, and perhaps romantic way. So, to the d-block we go. Lots of metals, and lots of amazing chemistry, so this looks like this might be fertile ground – and it is. Like group 1, the usual precious metals of gold, platinum and silver all seem a little too easy and cliched for me, so I’ll leave them alone. Palladium does have a great discovery story that I love to tell, but outside of that it seems a just a little too much like platinum. Tungsten with its silly symbol and legendary melting point and hardness is again too obvious, but osmium and iridium are not. That pair always intrigue me, as do a number of the 5th and 6th period transition metals for various reasons. Zirconium, niobium, cadmium and hafnium, each have reasons to love, that include their history, their poisonous nature, their zany applications or even just the fact that the letter “z” seems exotic, but ultimately none of those win the day. When I was a kid first learning about chemistry, the transition metals that I was most commonly exposed to were the 4th period ones from scandium to zinc, elements with atomic numbers 21 to 30. These were the elements that promised exciting properties and brightly colored compounds, and it’s really the role of color that was a motivating factor for me. However, it went beyond color. The color coupled with the seemingly impossible number of oxidation states (cue iridium once more), and an (even if rather rudimentary) understanding of crystal-field splitting theory, seemed to stick with me. I also had a real affinity for complex ions as well. The need for lots of oxidation states ruled out scandium and zinc, titanium dioxide’s ‘whiteness’ took it out of the equation too, and iron seemed just a little too ‘run of the mill’. Copper, nickel and cobalt all had strong cases since I remain to this day a fan of the blue-green part of the spectrum, and manganese in the ubiquitous potassium permanganate never failed to thrill, but in the end it comes down to the two remaining; chromium and vanadium. It’s difficult to separate these two since they each have all of the prerequisites in terms of color, multiple oxidation states, complex ion chemistry and roles as catalysts, but ultimately the slightly more exotic one wins. The “V” symbol, coupled with those neat, colored packages of +2, +3, +4 and +5 oxidation states, seal the deal for me. So today, it’s vanadium that carries the title, “My Favorite Element”, closely followed by chromium and iridium, but tomorrow it could be any one of the remaining 115 that suddenly present something amazing to me that I didn’t know. For me it’s ruthenium, without a doubt. I spent a full year in graduate school trying to make a Ru-Ru quadruple bond by using large cone-angle ligands (silyl silanes and the like). I beat on that sucker for a year, and never quite got more than a triple bond (at least, according to the x-ray data). The little jerk just wouldn’t behave. But in that year, I came to respect, like, and finally prefer “ruthy” to its 117 peers. I even used to have a very small sample of the pure metal (my advisor wouldn’t let me keep it though). Ha, like I said in the post, if you ever work with one element that closely, the love-hate relationship is inevitable I feel. Do you like the book Chemistry of the Elements? What’s the reason for the specific elements in your title icon? And the coloring of them?